An idealistic view of the cloud revolves around simplicity, increased speed, and lower costs. This isn’t always the case, though. Many enterprises become overwhelmed with managing the cloud on their own. Thus, enterprises have turned to solution providers for managing their cloud infrastructure and its costs. Cloud cost optimization tools have grown in popularity. Analyst house Forrester covered this market and found nine standout vendors. One of which is Cloudability. We were lucky enough to chat with their VP of Strategy and Alliance, Matthew Scott. Matthew discusses the importance of managing cloud costs and the best practices to make this happen. Are cloud pricing models too unclear? It’s not that cloud pricing models are complicated or unclear. 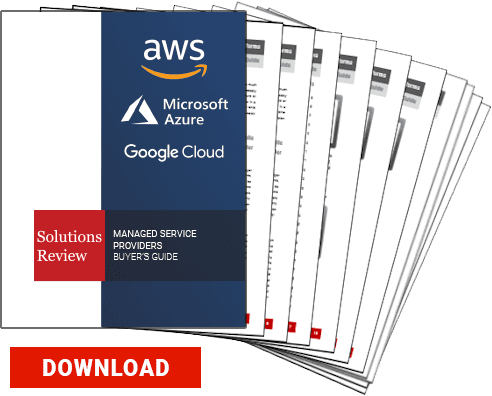 The challenge is that cloud infrastructure generates an avalanche of billing and utilization data — 33 million data points per cloud resource, 275,000 services and options per cloud vendor, and over a thousand new releases per cloud vendor annually. This is expected to grow as cloud providers announce new products. Given that, it’s easy to become overwhelmed with taking in the full breadth and depth of services available. Organizations should be focused on delivering software faster to respond to ever-changing customer and market needs, not analyzing vast amounts of raw data. Spreadsheets, homegrown, and third-party tools that don’t scale, leave out crucial details and can be inaccurate. Without the right visibility into services and how the variations can impact pricing, organizations find themselves racking up expenses they were not prepared for. Because of this, tools that are powered by data science and machine learning capabilities can bridge that gap between finance and DevOps teams with deep, actionable insights and visibility into cloud usage and spend in a precise, accurate and timely manner. How can executives balance cost and output expectations? In today’s world, digital transformation is changing business models and forcing executives to ensure that quality software is shipping on an iterative basis. The advent of DevOps has enabled organizations to develop software faster to respond to ever-shifting customer and market needs. Just like DevOps is helping companies accelerate the continuous integration and deployment of new features, there needs to be an enterprise culture of constant innovation that is constantly optimized for highest performance at lowest cost. Because of this, the software development lifecycle (SDLC) has become more closely integrated with finance or FinOps. This is the combination of people, process, and tools that increase an organization’s ability to efficiently collaborate around cloud resources with visibility to know exactly what is happening with cloud spend so organizations can improve margins, reduce cloud spend waste, and get solutions to market faster. One example is a Cloudability customer that develops enterprise software for hundreds of thousands of clients. This organization wanted to ensure discipline in their operational controls such that their customers never felt any operational impact of not having enough resources. Our client didn’t want to overspend on a cloud to achieve this balance and connected their SDLC with our product’s API’s and machine learning capabilities. This was especially tough when the company went through an intense period of growth and its cloud infrastructure became increasingly complex. Without knowing the True Cost of cloud usage, it is hard to maintain optimal coverage at scale. That’s why large enterprises and born-in-the-cloud companies rely on tools like Cloudability so they can develop software faster and increase their cloud, without increasing costs. What concerns do you have for the future of cloud costs? This goes back to that whole process of determining what services organizations should use. As more products are introduced, this becomes more and more difficult. Organizations will need to leverage machine learning to help make decisions around how to optimize their public cloud. According to the State of the Cloud 2018 report, Moore’s Law continues to apply for cloud compute. Only 30% of users remain on legacy compute instances; the other 70% of users have moved to the current generation, which delivers significantly improved price/performance. The continuous shift toward improved and next-generation compute instances shows that organizations are continuing to take advantage of the advances in improved processing, memory, and storage, as well as networking options. This trend showcases a big advantage offered by the cloud, in that it allows organizations to break the traditional three-year data center hardware renewal cycle, instead of moving to a 12-month cycle in the cloud. Due to Moore’s Law and improved price/performance, we see that customers in the cloud are able to get more compute power in vCPUs for the same amount of spending. Our research showed that CPU Hours grew 84% while the spend grew only 35%. Are there overlooked factors driving up cloud costs? One of the biggest overlooked factors driving up cloud costs is the number of services. Because of the elasticity of the cloud, teams can easily subscribe to the number of resources needed at a given time. Often resources are over-provisioned to meet the performance requirements of applications, resulting in the business paying higher costs than needed. Research from Gartner shows that without cloud cost optimization, business could be overspending by more than 70%. Without the right tool, organizations are going to drive up cloud costs. Matthew leads Cloudability’s public cloud strategy including our public cloud and software partnerships globally. He was an early sales leader Amazon Web Services, joining AWS in 2010. Matthew left AWS to start his own company, Options I/O Cloud Marketplace, which was later acquired in a series of acquisitions most recently when Datapipe was acquired by Rackspace. He has held senior sales, alliances and engineering leadership roles at Datapipe, Sprint, Level 3, DualSpark and NetMotion Software and loves the challenge of building businesses from the ground up. Matthew has a BS in Applied Math and Statistics from Colorado State University.